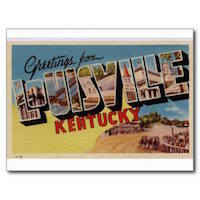 Louisville Restaurants Forum • View topic - Need appliances? In my endeavor to finally update my long neglected home I ran across a great, knowledgeable appliance sales staff that I trust. They work at the Sears Home and Appliances store on Westport Rd @ 265 next door to Jimmy Johns. They are not affiliated with the Sears stores in the malls. (How that works I don't know. ) Theyve been great about letting me know when sales are scheduled and when my appliance might be on sale. Thanks, Carla! A useful future reference!